Leading Retailer Nakumatt, that has been faced with financial woes in the recent past has signed a deal with competitor Tuskys Supermarket to all the retailer to access the suppliers through Tuskys supermarket’s good will and value chain. The retailer had been facing a financial crisis and had failed to pay suppliers and the workers in recent months. Nakumatt has been operating on a thin belt leaving the retailer almost empty due to lack of supplies. The retailers financial problems have emerged from different challenges faced by the Supermarket, they had signed a agreement with the National social security fund to lease the whole building and lease to auxiliary clients who would benefit from the traffic brought by the supermarket however this deal came to a stand still when NSSf decided to close down part of the building in order to add more floors causing high paying tenants to vacate. Nakumatt has also been faced shrinkage facilitated by unscrupulous employees who colluded with suppliers to pay for undelivered goods. The Retailer had asked the government to help them out of the come out of the crisis as they blame the government for their troubles. Atoll Shah the managing director and his family have agreed to pledge its shares to the financiers for six years. Tuskys will provide managers to provide leadership to Nakumatt but the brands will remain as they are currently. 19/09…In response to media reports about a proposed merger of the businesses of Tusker Mattresses Limited (“Tuskys”) and Nakumatt Holdings Limited (“Nakumatt”), we would like to take this opportunity to issue a joint formal statement to clarify the position in the interests of transparency. We confirm that there have been confidential discussions between the authorized representatives of Tuskys and Nakumatt and their advisors aimed at exploring potential options for synergies, co-operation and business integration between the two family owned retailers, including by way of strengthening and streamlining management, acquisition of assets and eventual merger of the entities. These confidential discussions are continuing and although the engagement has been positive and good progress has been made, it is important that we acknowledge that a formal agreement is yet to be reached and will be subject to notification and approval by regulators and lenders. Any transaction of this nature and magnitude is complex, involves consideration of a broad range of issues and interests of key stakeholders including employees, suppliers, landlords and lenders whose interests are paramount and are being carefully considered. 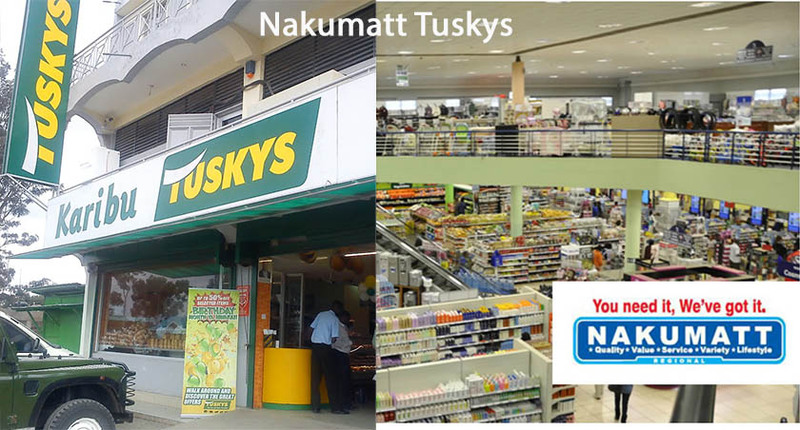 The founders of Tuskys and Nakumatt have enjoyed a close business and family relationship spanning more than four decades and share a common heritage as pioneer Kenyan retailers from Nakuru County and are excited by the opportunity for the business integration. In the interim, we would like to thank our customers, suppliers and other stakeholders for their continued support. It is yet to be confirmed how the merger will work with various cases filed against the retailer with suppliers asking for it to be wounded up.